Ylang Ylang is a pure therapeutic quality certified organic aromatherapy essential oil from Madagascar, obtained from the blossoms. Ylang Ylang comes from a Tagalog word “ilang” meaning “wilderness” or the word “ilang-ilan” meaning “rare”. 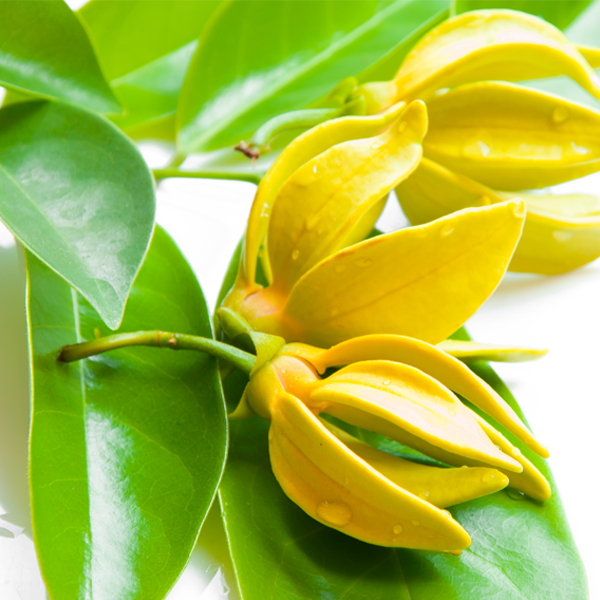 Ylang Ylang essential oil is beautifully fragrant, with a heavy, sweet, slightly fruity floral scent. It could be classified as a feminine scent, however is used on both women’s and men’s fragrances. This essential oil was not widely known about until very recently, but with the thousands of cosmetics products and their advertisements flooding the television and global media, it soon became a household name and a favorite for aromatherapists. The essential oil of ylang-ylang is extracted by steam distillation of fresh flowers of the ylang-ylang tree, which bears the scientific name Cananga Odorata and is commonly found in the rain forests of certain Asian and South Pacific Islands like Indonesia, Philippines, Java, Sumatra, Comoro and Polynesia. It is interesting that the quality of Ylang Ylang oil depends very much on the time that the flowers are picked and the distillation process. The best time to pick the flower is in the early morning; this yields the best and most oil. Popularly known as the flower of flowers, all the parts of the Ylang Ylang tree has a celebrated history both in the West and the East. This tree is indigenous to Indo-Malaysia, Philippines and Java. It was used in salves to heal cuts, scrapes, insect bites, snake bites and few other skin disorders in Philippines. Every part of the Ylang Ylang tree is used for various purposes and the entire tree is claimed to be highly beneficial in many ways. Essential Oils are highly concentrated extracts of medicinal plants, very powerful in their effect and should be used with moderation and great care. If used other than for ambient diffusion, i.e. for massages, essential oils should always be diluted in good quality vegetable carrier oil before applying to the skin (i.e. sweet almond, sesame, jojoba, olive oil, etc.). 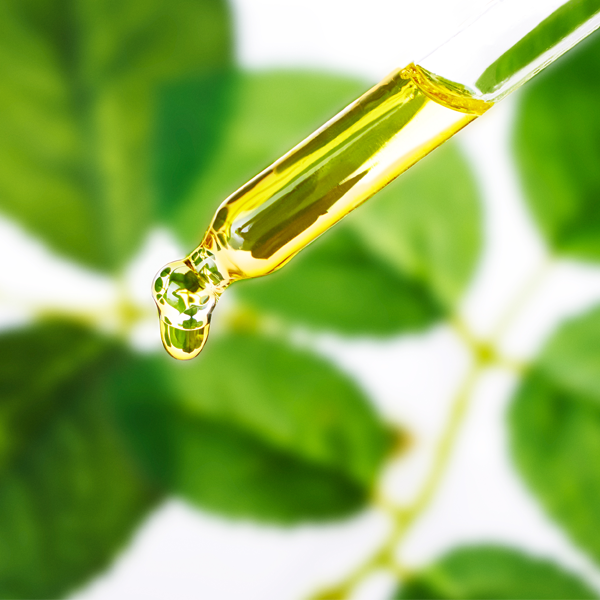 The standard dilution for adults is 1–3% essential oil, or about 3–10 drops of essential oil in 15 ml (= 1 tablespoon) of vegetable oil (20 drops = 1ml). For children, sensitive skin and during pregnancy the dilution should be 0,5%-1% (1-2 drops in 10 ml). For a full bath use for adults 5–15 drops and 3–5 drops for a footbath. The essential oils should be diluted with some carrier oil, a little cream or honey to help them disperse in the water. Essential oils of Clove bud, Cinnamon (leaf or bark), Oregano, Savory, Thyme (thymol and borneol) can irritate the skin, use only highly diluted (0.5%—1% dilution). For sensitive skin care should also be taken with Aniseed, Fennel, Lemongrass, Melissa (Balm), Peppermint, Sage, Wintergreen, and sometimes also Basil, Ginger, Lemon and Bitter Orange (1 - 3 % dilution). These oils (except the citrus oils) should also not be used for children under 2 years and during pregnancy. If pregnant avoid in addition: Cedarwood, Clary Sage, Juniper, sweet Marjoram, and Myrrh. If applying photo-sensitizing essentials oils like Bergamot, Orange, Mandarin or Lemon to your skin (even in dilution) do not expose your skin to direct sun for several hours afterwards (to avoid pigment spots). The furocoumarin free Bergamot is ok. In case of high blood pressure Hyssop, Rosemary, Sage and Thyme (thyme) are contra-indicated; a gentle massage with relaxing essential oils however is very beneficial. In case of Epilepsy do not use the essential oils of sweet Fennel, Hyssop, Rosemary and Sage. If you have a medical condition we recommend that you seek the advice of a Maharishi Ayurveda practitioner or aromatherapist. Ylang Ylang is a pure therapeutic quality certified organic aromatherapy essential oil from Madagascar, obtained from the blossoms. Beautifully fragrant, with a heavy, sweet, slightly fruity floral scent. Contraindications: A strong oil, so care should be taken to dilute. Too much can cause headaches or nausea. Linalool, Geranyl acetate, Germacrene-D, Para methyl cresol, beta-Caryophyllene, Benzyl benzoate.